The Dallas-Fort Worth area has experienced stunning growth, however Dallas remains one of the most economically and segregated cities in America. Through eye-opening data and pointed solutions, Cullum Clark argues that Dallas can become a national leader in reviving upward mobility in his essay, "Gentrification in Dallas". Clark's essay is part of a new report by the Center for Opportunity Urbanism, Beyond Gentrification: Towards More Equitable Growth which explores how unbalanced urban growth has exacerbated class divisions, particularly in the urban centers of our largest's metropolitan areas. Read an excerpt of Clark's piece below. 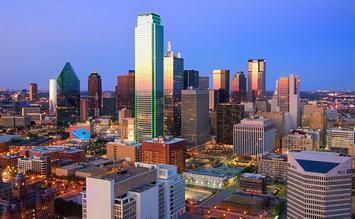 The Dallas region is a microcosm of America’s latest urban evolution. The Dallas-Fort Worth metro area is booming, fueled by a range of thriving industries and a tremendous influx of people and businesses. The city of Dallas — home to 1.3 million of the 7.4 million in the DFW metro — has experienced a stunning resurgence from the dark days of the 1980s oil and real estate crash. Yet for all its heady growth, Dallas still faces many of the defining challenges bedeviling other major cities and the nation as a whole: a dwindling middle class, growing bifurcation into “have” and “have-not” neighborhoods, an emerging home affordability problem, and rising numbers of poor citizens for whom twenty-first century prosperity seems a sham. In certain respects, the city’s revival has compounded these challenges. Dallas remains among the most economically and racially segregated cities in America, in part reflecting the heritage of Jim Crow. The poverty rate in the city of Dallas is nearly 23%, one of the highest among large American cities. At the same time, Dallas has a greater opportunity to address these challenges than most of its peers, in view of the DFW area’s economic vibrancy and the city’s comparatively abundant and inexpensive land. Unlike most big cities, Dallas has the potential to build its way out of its current challenges. Dallas urgently needs to pursue three policy directions in order to shift to a more inclusive and sustainable pattern of urban growth. First, it needs to spark a new home building boom focused on middle and lower-income families, especially in depressed southern Dallas. Second, it should adopt a range of smart policies to preserve and rehabilitate as much of the existing housing and commercial real estate stock as possible in less advantaged areas. And third, it needs to get considerably more creative about bringing urban amenities — innovative schools, stores, restaurants, health clinics, greenspace and arts facilities, and the middle-skilled jobs that come with them — to historically underserved areas. If it gets these things right, Dallas can become a national leader in reviving upward mobility and the promise of the middleclass American Dream. Cullum Clark is Director of the George W. Bush Institute-SMU Economic Growth Initiative and Adjunct Professor of Economics at SMU in Dallas. As Director, he leads the Bush Institute’s work on domestic economic policy, including programs focused on Opportunity and Ownership and on Fiscal Reform. Cullum worked for 25 years in the investment industry, at two Wall Street firms and then as founder and president of a Dallas family office. He has served on the board or investment committee of numerous non-profits and early-stage businesses. He earned his PhD in Economics at SMU in 2017. His research and policy interests include fiscal policy, monetary policy, economic geography and urban economics, and economic growth. He also earned his undergraduate degree at Yale and a Master’s degree at Harvard. Cullum and his wife Nita live in Dallas and have three daughters.